According to scientists, planetary proximities are full of asteroids and various objects. The near-Earth population of asteroids bigger than 200 meters (650 feet) in size is binaries with one larger object accompanied by a smaller satellite in approximately fifteen percent of cases. 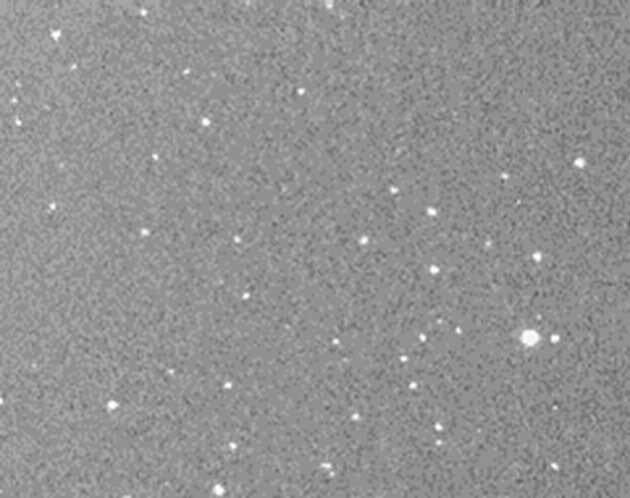 Equal mass binaries like 2017 YE5 are much rarer sights. In case of Earth’s proximity, this is the fourth case of its kind. Binary asteroids at Earth’s proximity is a different and rear class of objects. The understanding of the formations and dynamical evolution of these objects are critical for exploring collisional and description processes in the solar system. Radar observations are able to give monospermous sensing of binary asteroids because of the decameter resolution, which helps in the distinction of the individual components. In the past decade, the number of known binary near-Earth asteroids has more than quadrupled, and the number of known large main-belt asteroids with satellites has doubled. Half a dozen triple asteroids have been discovered, and previously-unrecognized populations of asteroid pairs and small main belt binaries have also been identified. Current observational evidence confirms that small binaries form by rotational fission, and it has established that the YORP (Yarkovsky–O'Keefe–Radzievskii–Paddack) effect powers the spin-up process. A unifying paradigm based on rotational fission and post-fission dynamics can explain the formation of small binaries, triples, and pairs. Large binaries (more than or equal to 20 km) with small satellites are most likely created during large collisions. On December 21, 2017, 2017 YE5 was first observed by a French astronomer, Claudine Rinner, and his team, as part of the Morocco Oukaimeden sky survey also known as MOSS. At first, the binary existence of the asteroid was not known until June 21, 2018, when 2017 YE5 made its closest progress to Earth. It came up to six million kilometers, which are approximately sixteen lunar distances. This will be the closest approach for the next 170 years. The first sign that 2017 YE5 could be a binary system was conveyed by NASA’s Goldstone Solar System Radar (GSSR) in California. The observation showed two different lobes, but due to the orientation of the asteroid, it was difficult for scientists to suggest if the two bodies were joined or separate. Later, on June 24th, scientists from the Arecibo Observatory in Puerto Rico teamed up with colleagues from Goldstone, and along with the Green Bank Observatory (GBO) in West Virginia, they used bi-static radar configuration to confirm that 2017 YE5 consisted of two separate objects. The bi-static radar system had two sites employed that were separated by a comparable distance. A transmitter was placed on one site and a receiver on another. Continuous-wave (CW) waveforms are often used by a bi-static radar, and this effect is also known as CW wave interface. In the case of 2017 YE5, Arecibo transmitted the radar signal, and Green Bank received the return signal. The configuration confirmed that 2017 YE5 indeed had binary nature. The main insights based on observations between 21 and 26 June 2018, suggested that the two objects were almost of the same size and revolved around each other, every 20-24 hours. These observations were confirmed by Brian Warmer and his team at the Center for Solar Studies in Rancho Cucamonga, California. The reason behind this concept was the visible light observations of brightness variation. It is likely that 2017 YE5 could be as dark as charcoal. 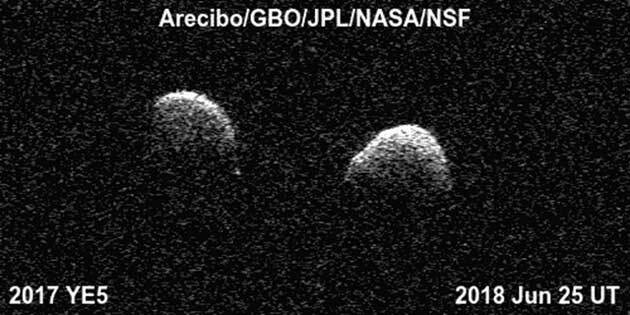 According to the radar imaging, the two objects are larger than their combined optical brightness, which means that they do not reflect as much sunlight as a typical rocky asteroid. 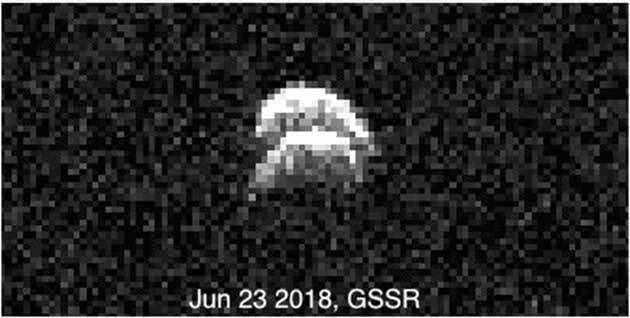 The images by Goldstone and Arecibo also showed reflectivity differences in both the objects suggesting different densities, compositions near their surfaces and different surface roughness. These observations give scientists an important opportunity to explore more about different types of binaries, formation mechanisms between binaries and contact binaries, which may have some common traits. The combination of optical and radar images is very effective in exploring their composition and internal structure. 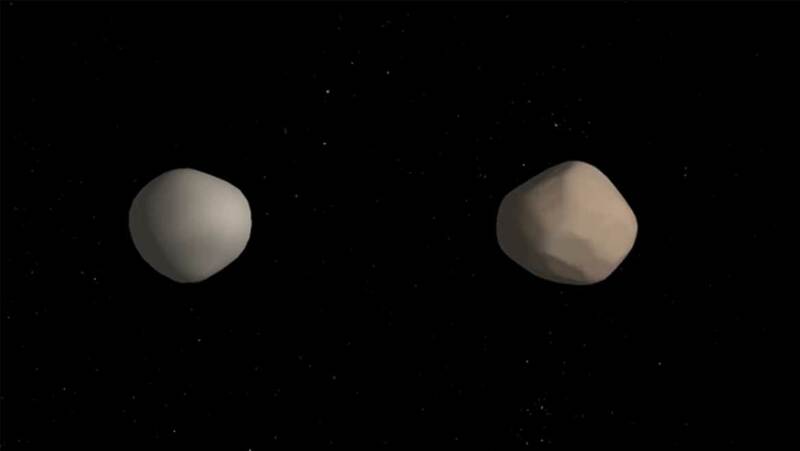 “European Space Agency (ESA)’s Hera mission, currently under study, would be humankind’s first mission to a binary asteroid system, targeting the Didymos pair of Near-Earth asteroids,” explains Paolo Martino, Hera system engineer. A part of the Agency's Orbital Robotics and Guidance, Navigation and Control Laboratory in its ESTEC technical center in the Netherlands, GRALS (GNC Rendezvous, Approach and Landing Simulator), was used to simulate close approach to uncooperative targets such as asteroids or drifting satellites. Martino also said, "The plan is to map surface features of these bodies on an automated basis to pinpoint Hera’s position in space and chart its onward trajectory. GRALS is letting us test candidate navigation algorithms in a real-world way." The smaller model asteroid can be seen in the image, atop a rover that slowly wheels around another larger model asteroid, a practical recreation of the kind of binary asteroid system to be visited by ESA’s proposed Hera mission. 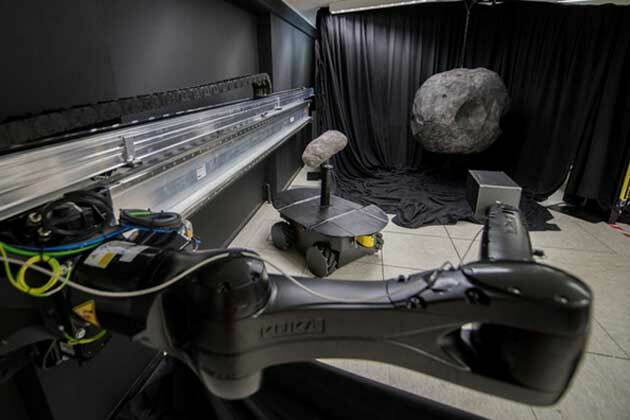 The camera, seen to the right, was mounted on a 33-meter track and will approach this miniature binary asteroid system to test vision-based navigation software. This test took place in ESA by employing 3D printed asteroid models. Margot et al. (2016) Asteroids Systems: Binaries, Triples and Pairs.